First: Click on Account page at the top. On the Account page select the Phone Numbers tab. On the Phone Numbers page select your country code by clicking on the Flag icon and select the country from the drop down menu. After this, enter your phone number. You can give your phone number a memorable label. You can select a label from the drop down menu or you can click on Other and type the label name. Click on Add Your Number button. Now, your number has been added successfully. 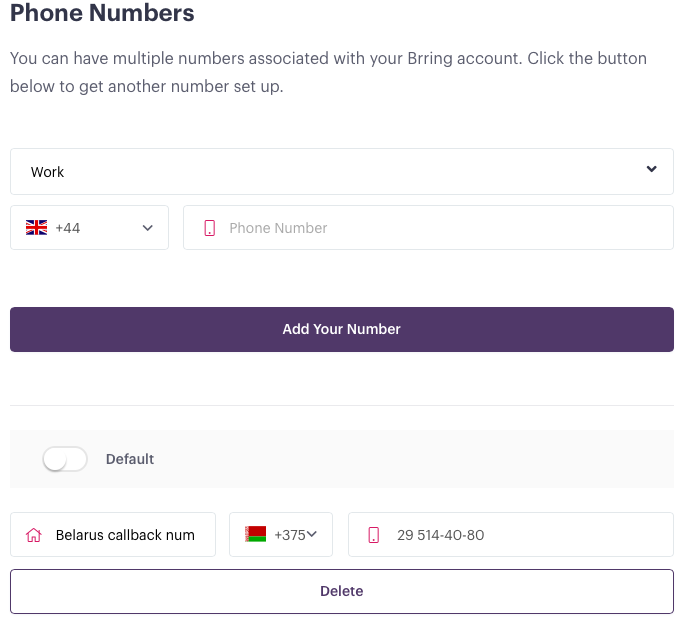 Second: The other way to add your number is to go to the Dashboard page, click on any of the buttons such as Start Call, Schedule Call or Create call and then click on Add New Number button.